Even while you are still fighting acne you can keep it from ruining your appearance and ruining your life. You can cover up your acne with simple cosmetic steps that won’t cost you more than US $30 for your initial investment. And if you buy the right products, that one-time $30 expenditure may be enough to cover up your pimples until you get rid of acne for good. Concealers and foundation can be used to cover up blemishes, but be sure to wash them off every night to prevent additional acne. Covering up acne does not have to be time-consuming or expensive. All you need is concealer, foundation, and a brush. And you can use concealer even if you don’t have a brush. Green concealer covers up red pimples. If you don’t have green concealer, you can use yellow concealer on fair skin or brown concealer on Asian skin. Use the darkest concealer you can find if you have dark brown or black skin. Conceal your concealer with one layer of foundation. Especially if you have oily skin, try to limit the number of layers of foundation on your skin to just one. Be sure to take off your concealer every night with a product that does not contain SLS, like Exposed Skin Care’s Facial Cleanser. Get the red out of pimples with tea tree oil. Get rid of pimples and keep them off your skin for good with a complete acne treatment system like Exposed Skin Care. The first step to covering up acne is taking the red out of your pimples. If the pimple has just popped out, the way you conceal the redness of the pimple is by lightly covering it with green concealer. It is best to apply the concealer to your skin with a feather brush. Before you start putting on any cover up for acne, it is essential to cleanse and dry your face and to wash and dry your hands. You don’t want to trap dirt, soap film, grease, grime, or acne bacteria underneath your concealer, transferring them to your face with your hands. After your face and hands are clean and dry, open the jar of green concealer and place a small amount on the back of your non-dominant hand, the hand you will not be using to hold the feather brush. Then rub your brush back and forth through the concealer on the back of your non-dominant hand until the brush is coated with concealer. Dot the concealer on the pimple you want to hide. Then spread concealer around the pimple to blend it evenly across surrounding skin. Why is it best to apply concealer with a feather brush? Using a brush allows you to apply the smallest possible amount of concealer to the surface of the pimple. Keeping your hands off the pimple protects you from the impulse to squeeze it, making a bad cosmetic problem worse, and keeps you from transferring bacteria to and from your skin. If you don’t have a brush, you can still apply concealer with your fingers, but make sure they are clean and make sure that you apply the concealer very gently. What if you don’t have green concealer? After all, many cosmetics experts say you should never use any shade of makeup or concealer that does not occur naturally in your skin. And the only reason you would keep green concealer, unless you happen to have naturally green skin, is to cover up pimples. If you don’t have green, then you can use yellow or brown. Yellow concealer works best on fair skin, and brown concealer works best on Asian and Hispanic skin types. Most people of African heritage should use the darkest brown they can find. But concealer is just the first step in concealing the pimple. Once you have canceled out the red in the pimple you want to conceal, you need to add a second layer to your skin to give all the skin of your face the same color. The best way to do this is with loose powder foundation if you have oily skin, or maybe with a light liquid foundation if you have dry skin. Matte is better than gloss, especially if you have oily skin. Apply foundation evenly over the pimple and the rest of your face. It is important to use just one layer of cosmetics on top of your concealer. Multiple layers of cosmetics can clump or separate, making pimples even more noticeable than they were before you covered them up. The best cover up for acne is the lightest cover up you can use that cancels out the redness of a pimple. Your foundation will conceal whiteheads and blackheads. 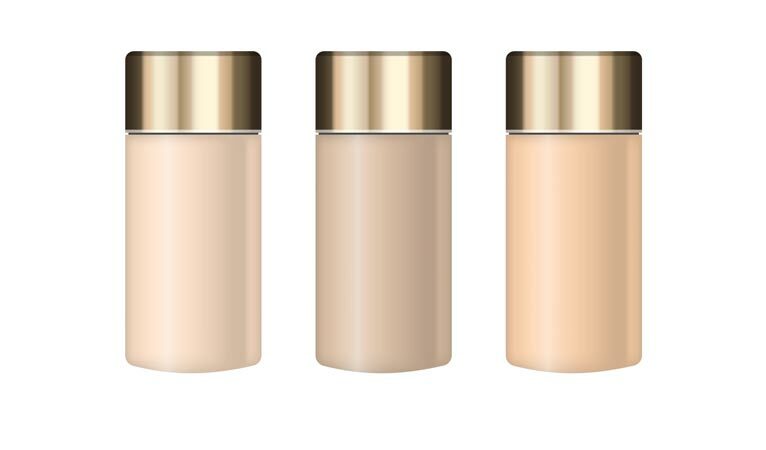 If you use foundation with orange, peach, lavender, burgundy, wine, or ash tint, however, your concealer may suddenly stop concealing in the middle of the day. Except for that first layer of green concealer, use cosmetics that are as close to your natural skin tones as possible. This usually is not a problem except for people who have very fair or very black skin. Benzoyl peroxide and tretinoin topical won’t help you cover up acne. In fact, they may make pimples temporarily more noticeable. A better way way of concealing a pimple is to treat it with pure tea tree oil at night when you remove your makeup. Tea tree oil in a concentration of 10% or more will kill acne bacteria on contact. Pure tea tree oil will also relieve inflammation and reduce redness, even as it is killing acne bacteria. The more often you can use tea tree oil at night, the less often you will need to use concealer during the day. Tea tree oil treatment usually completely removes redness in about a week, but products that are not at least 10% tea tree oil will not help very much, no matter how good they smell. It is always essential to remove all makeup before you go to bed for the night. You don’t want to have to rub and scrub to get makeup off your skin, because the action of rubbing and abrading the skin stimulates the production of even more oil. Makeup needs to come off your skin with the action of your cleanser alone, but your cleanser needs to be gentle to your skin. How can you find products that remove makeup without irritating the skin? Probably the single most important thing you can do in choosing your makeup remover is making sure it does not contain an ingredient called sodium lauryl sulfate, also known as SLS. More than any other common detergent ingredient, SLS can make your skin break out even while you are cleansing it. It can take a lot of time to read all the labels. But you don’t have to read all the labels if you rely on a comprehensive acne treatment system like Exposed Skin Care. I can't cover my acnes any more, cosmetics are causing damage to my skin. I want to get rid of these acnes. HELP!